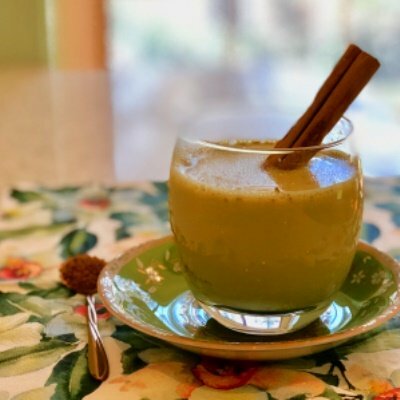 Why buy Turmeric Latte that’s full of sugar and who knows what, when you can make your own from your own home grow turmeric? I don’t drink coffee very often. A couple of cups per year is about all I manage. It smells lovely, but the taste and the after effects are always disappointing. So, when out for a cuppa with friends where there are not a good range of herbal teas on offer, I’ll opt for a turmeric latte. However, even that is so often a let down, as they are syrupy or powdery and super sweet. I guess I have been spoilt with my own latte mix. Maybe I should just ask for a cup of hot milk and take my own powder! This Turmeric Latte mix utilises your own ginger and turmeric that you’ve harvested and dried already. I have a dehydrator, but you can process them into crumbs and dry them at 50C in the oven as an alternative. All you need to do then is whizz them through the blender to make a powder before storing the individual spices. Make up a batch of this turmeric latte mix when you need it. I also add this Latte mix to smoothies. Delish. 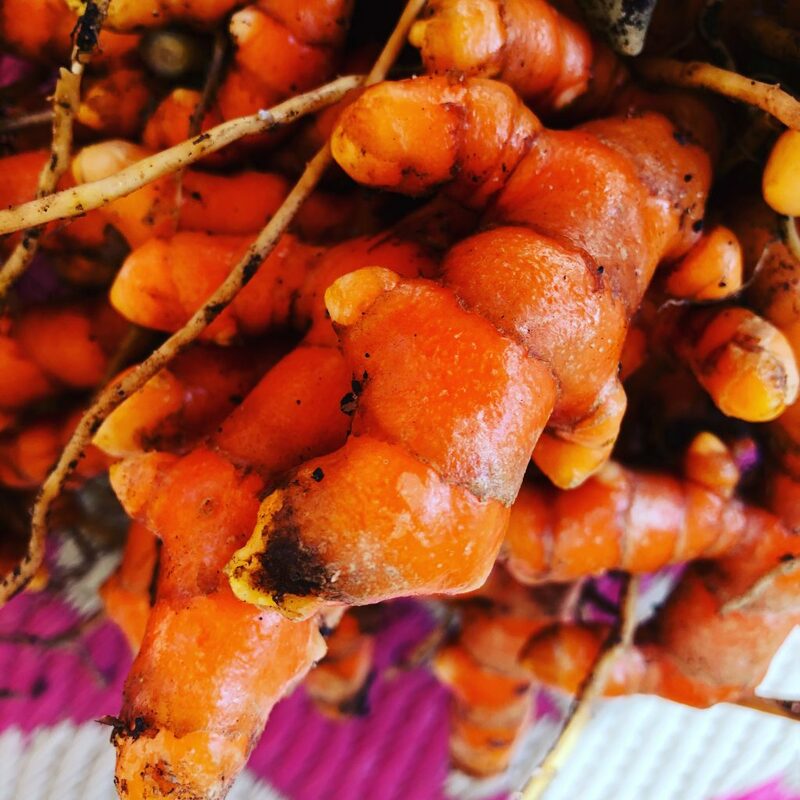 Growing your own turmeric, and ginger means that you often have more than you need at harvest time, so I do several things with the excess. Or …Process the fresh roots into little crumbs, dehydrate then blend into a powder. This dried product will keep in a jar for the rest of the year. Ahh, the flavour and pungency is superior to anything you buy from the store as it’s fresh. And hasn’t been sitting on a shelf for months or years. Blend the lot in a blender until the pepper is ground up. Add 2 teaspoons sugar to help the flowability. Store in a jar. To make a Latte, heat 1 cup of milk, plant milk or half and half milk and water, with 1 teaspoon of the Latte Mix. Add sweetener to your taste.Heat gently so the flavours infuse the milk. Pour and enjoy.